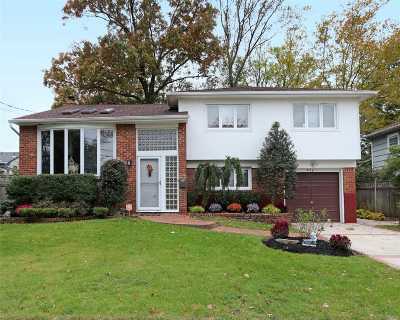 Welcome Home To This Well Maintained Split Located On A Dead End St In Baldwin Harbor! This Home Offers 3 Br&apos;s, 2.5 Baths, Flr W/Vaulted Ceilings, Fdr Plus An Eik. The Lower Level Boasts A Den, Office, 1/2 Bath, Access To The Yard & Entrance To The 1 Car Attached Garage. The Part Bsmt Includes A Separate Laundry Room, Utility Room And Add&apos;l Storage. The O/S 133&apos; Deep Property Is Fully Fenced & Accessible From The Eik. Don&apos;t Miss The Opportunity To Make This House Your New Home!